We are seeking a collaborative, strategic and passionate public service leader who is focused on providing business oriented solutions for customers and citizens. 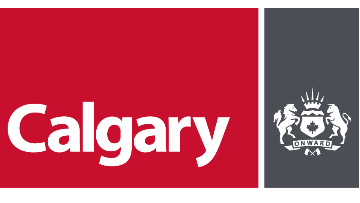 The Calgary Approvals Coordination (CAC) Managing Director will use their understanding of development and planning approvals to further enable Calgary as being a great place to invest in real estate development and redevelopment, and through this contributing to attributes that led The Economist to declare Calgary the 4th most livable City in the world. The CAC Managing Director supports developers and builders to achieve their goals through oversight of the corporate planning approval teams and processes throughout the development continuum. The work involves balancing planning approvals among customer, citizen, and community interests, and resolving the most challenging cross-departmental issues that arise through development proposals. 1. Application services. Corporate coordination and process effectiveness of the corporate planning approvals system. It is directly accountable for the day to day operation of the Corporate Planning Applications Group (CPAG) service which reviews and approves complex development applications. 2. Public infrastructure. Negotiate contractual obligations between the City and Developers to ensure the delivery of developer-built public infrastructure through construction-drawing approvals and development agreements. Requires cross-corporate coordination, including among Planning, Transportation, Development Engineering, and Parks. 3. Partnership services. Coordination services that develop and maintain relationships among developers and community, provide customer support for target customer/development segments (currently homeowners, business and affordable housing), and leading the learning and development plans and programs for all Planning & Development staff and teams. This position is a senior public service leader and member of The City’s Senior Management Team (SMT). The successful candidate will have demonstrated experience in leading and managing teams and staff to achieve successful outcomes, including using influence without authority, improving organizational and team performance, and working in a complex organizational setting with diverse perspectives. The Managing Director will have a strong foundation in interpreting analytics and making data-driven decisions. They will also deliver projects and programs that meet the needs of the development industry (our customer), citizens and communities while simultaneously focusing on leading change internally and strengthening departmental learning practices. We are looking for someone who is an ambassador of The City’s values, vision and culture. In unison with the other three business units in the Planning & Development Department (Community Planning, Calgary Growth Strategies and Calgary Building Services) and Corporate Approvals Team, the CAC Managing Director will be responsible for developing collaborative working relationships with Council, Administrative Leadership Team (ALT), industry and community leaders. You will also represent The City through committee meetings, Council presentations, public meetings and media.  A Masters in Business Administration (MBA) or degree in a complimentary field (business, engineering, planning, etc.) with at least 10 years of progressively responsible management experience in a complex organization. Equivalent combinations of experience and education may be considered, with specific focus on driving customer service results.  Experience within the development industry leading organizational optimization and change with a focus on customer and citizen service.  Experience creating and executing action plans based upon business analytics, pro formas, and corporate objectives.  As a City leader, you will model our corporate values and demonstrate key leadership behaviors: encourage open communications, focus on customer service, ensure a respectful, inclusive and accessible environment, and promote employee health, safety and wellness.